What is Responsive Design?. For Goitpeople is an important element. Creating a website is not an easy and impossible task. You just have to focus on defining the goal you want to achieve with your website. It is the way to design a website that adapts its content and elements to match the size of the device’s screen from where we are visiting it. It prevents all content and images from being larger than the width of the screen when visitors use mobile devices. The goal of responsive design is to avoid unnecessary scrolling, zooming or panning that occurs on sites that have not been optimized for different devices. For GoItpeople is an important element when designing. 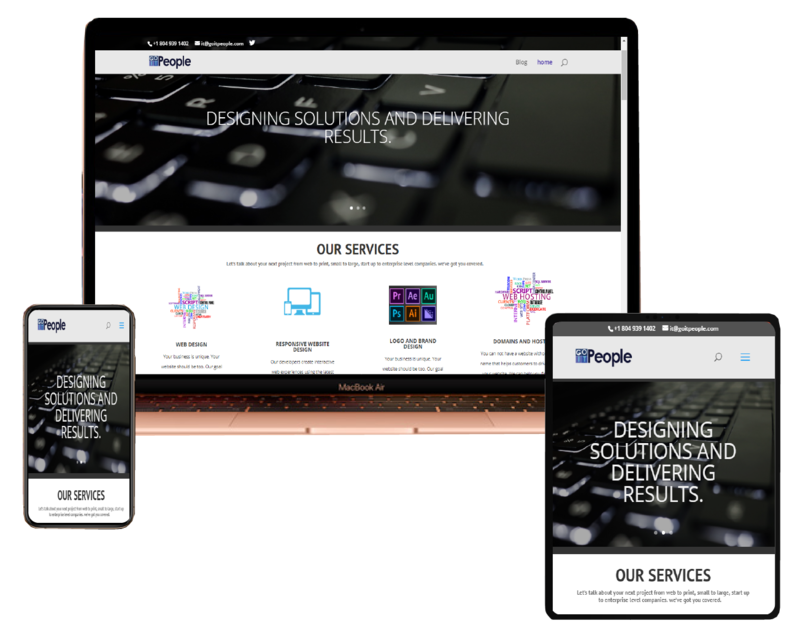 With a responsive design we take into account that the user experience is important for us, we want you to like your website and we make sure it is easy to use to convince them to re-register. If a user visits your website on a mobile device and has to wait forever or his images do not have the proper resolution, you are only achieving a bad image of your company or your company and nobody will want to do business with you. The responsive design offers a much better experience to the user, the zoom and the displacement will be eliminated, the content will be seen faster and the general impression that the visitors will have will be much more positive and professional. Another important fact related to a responsive design is that search engines such as bing, google and others already have several years including within their search algorithms the compatibility with mobile devices and giving them priority in the location, that is, if your website does not complies with this compatibility could be losing ground and positions of location in the searches, leaving it more than a potential client.